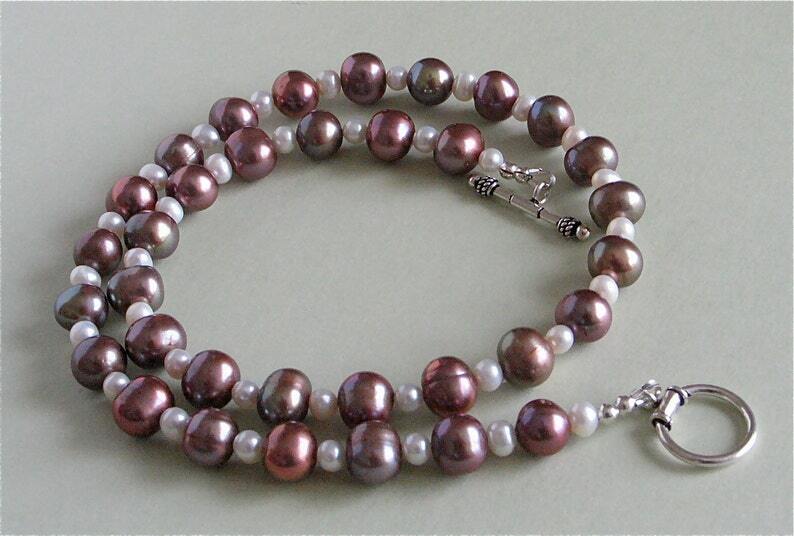 Lovely necklace made with 9mm potato shape peacock pearls and 4mm potato shape white freshwater pearls. Finished off with a sterling silver toggle clasp. The length of the necklace is 18 1/2 inches. The last photo shows matching earrings and bracelet, both sold separately. Carnelian Necklace with Handmade Carnelian and Pearl Chandalier Dangle Pendant - Chunky Statement Necklace - 21"